With recent advances in ECU flashing technology as well as data logging of speed density and alpha N vs RPM capabilities, master tuners Mike Dicely and Brian Carber bring you the most advanced and best performing ECU performance tunes in the industry. 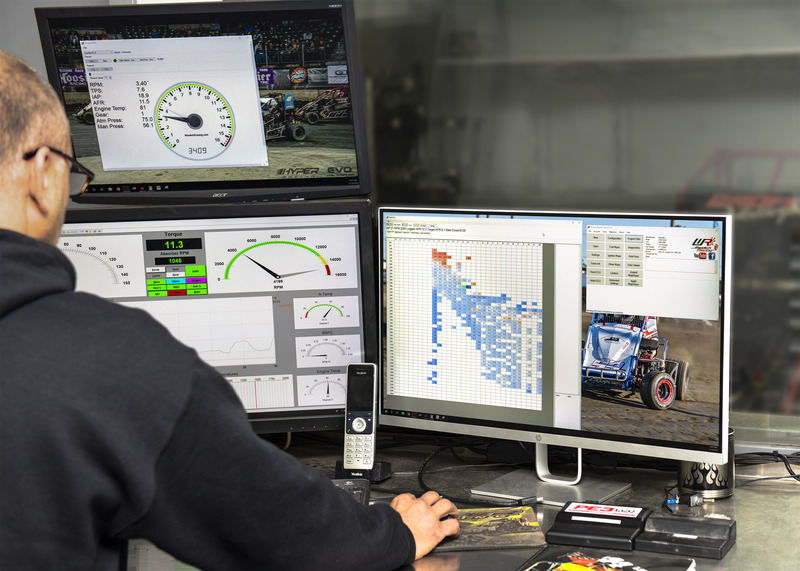 Together they have logged countless hours in 2017/2018 (and beyond) tuning hundreds of engines, perfecting and dialing in the thousands of cells and variables. Their tunes have won hundreds of races in just 2018 and have received rave customer reviews. These performance tunes are available for your advantage for all Hyper Racing injections as well as many other brands of injections including Guhl and Engler. To own one of our performance tunes, either send us your ECU or purchase one of our in stock ECU's. We will then flash the ECU with the tune, the cost for the initial flash is $250.00. Many racers have had success just running our base maps of which we have many maps for specific engines, engine builders, and exhaust systems. If you are interested in a specific tune for your unique engine and environment, our approach to perfecting our base maps include two possible road maps. A dyno tune at our shop with your engine either on your chassis or ship us your engine and we will tune it on our engine cart. If you purchased a flashed ECU from us, there is no extra charge beyond the dyno charge to tune through the ECU. Email our master tuners the data (which must include O2) from your Mychron, Hyper Data Tune Box, or other data logging system. We will then evaluate your data, make the appropriate changes to your fuel map, re-flash your ECU with the new map, then ship the ECU back to you. If needed, we have an exchange system for the ECU's in order to cross ship and save time so you can race the next week. Typically we can dial in a base map in two data tunes. 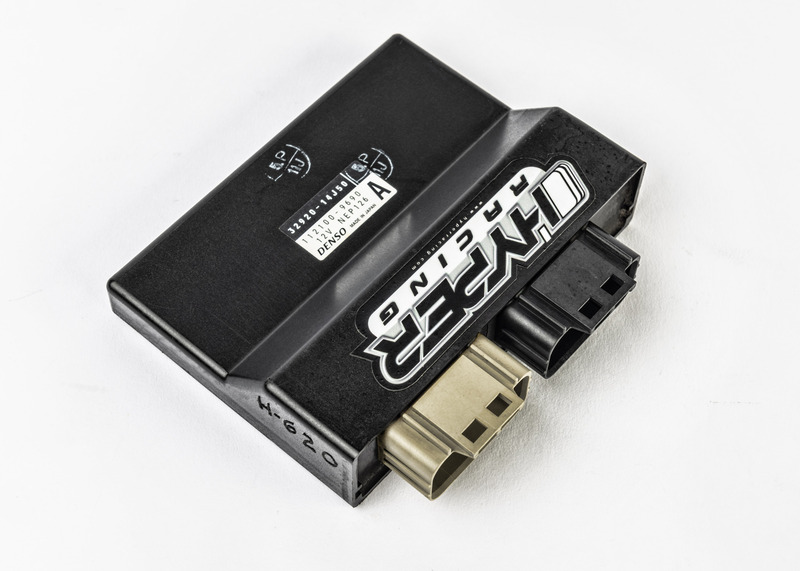 If you purchase a flashed ECU from us, we will provide two free data tunes, it is only $60 per data tune after that. 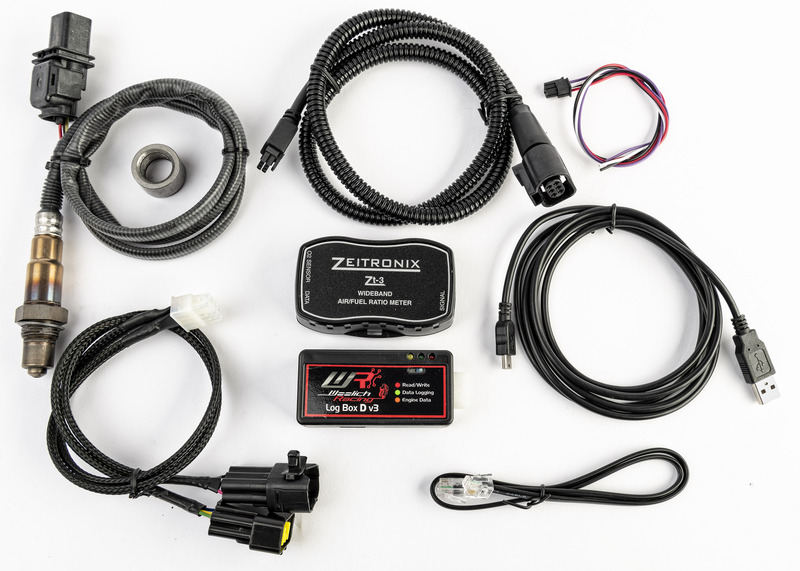 Includes the Hyper Data Tune Box, sub harness to connect the log box to your harness, and the O2 sensor and signal converter. If you wish to have us tune your ECU from race track data, this is the best way to do it. With this log box, we can read and record all the TPS, RPM, Water temp, air temp, and manifold pressure data directly out of the ECU. This data can also be handy as a diagnosis tool if you are having problems. With this data we can run it through an AutoTune algorithm which will suggest a modified map based off your original flash and the recently logged data. The Log box has a USB port on it that you will use to plug it into your computer. Once plugged in, you will go to windows explorer and find the box, it will load just like a thumb drive. Click on the Log Box and copy the data files into an email and send them to mike@hyperracing.com or brian@hyperacing.com. Piece of cake! Your ECU has two main fuel maps which it uses to determine how much fuel to deliver to your engine. A speed density map which we generally will call the pressure table map because it is a fuel map based on manifold pressure, and a throttle position map. This Log Box is by far the best way to record data to help us properly tune your pressure table map. The pressure table is used primarily for fuel delivery up to 11% throttle, then it blends into the TPS map. Depending on when your harness was converted and who converted it for you, we may have to pin the data port back into your harness as we didn't used to leave them in. To find out if you have one, call Brian at the shop 717.220.4470 or email him brian@hyperracing.com for more information.